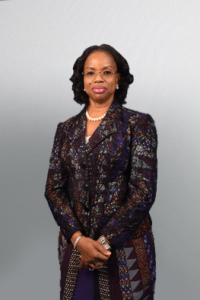 Olusola Oworu joined the Board of FirstBank in 2016. She was the Honourable Commissioner for Commerce & Industry in Lagos State from 2011 to 2015 and before then Special Adviser to the then Governor of Lagos State, Babatunde Raji Fashola, SAN, on Commerce & Industry from 2007 to 2011. Olusola spearheaded the development of a number of greenfield projects, initiated schemes to improve the investment climate and led the drive to attract new investments to Lagos State. An Accounting graduate, fellow of the Institute of Chartered Accountants of Nigeria and Associate, Women in Management, Business & Public Service, she had an enviable career in consulting and banking spanning over 20 years. She started her career at Coopers and Lybrand (now PricewaterhouseCoopers) in 1982 and subsequently, in 1986, joined NAL Merchant Bank (now Sterling Bank Plc.) and later Citibank Nigeria, where she rose through the ranks to the level of Vice President, with a strong bias for credit risk management and marketing. She brings her banking and financial services as well as public sector experience to impact her Board contributions. She is happily married and enjoys reading and travelling.